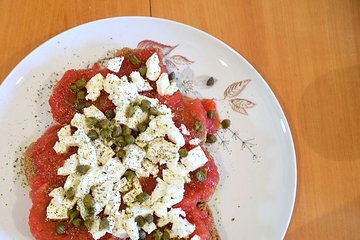 Skip the tourist trap restaurant and discover the best of Greek cuisine with a 3-course home cooked meal in Athens. With maximum eight people per group, you get the feeling that you’re dining with friends. The 2-hour dining experience includes local cheeses, Greek meatballs, traditional sweets, and a dessert wine. At the end of the meal, get insider suggestions for other dishes to try during the rest of your vacation.